The Knights of Pythias was founded during the Civil War in Washington, D.C. and was the first fraternal organization to be chartered by an act of Congress. Justus H. Rathbone founded the group based on the legend of Damon and Pythias, a Greek story of honor and friendship. Membership in the organization required a belief in a supreme being and was open to men in good health. According to the secret rituals of the organization, when a man was inducted into the group, he received a ceremonial sword usually bearing the letters FCB, which stood for Friendship, Charity, Benevolence – the three attributes of the organization. Their motto is “to speak the truth and to render benefits to each other." The fraternal group was comprised of three tiers – Castles made up local meeting places, state buildings were called Grand Lodges, and Supreme Lodges were the designation for national buildings. 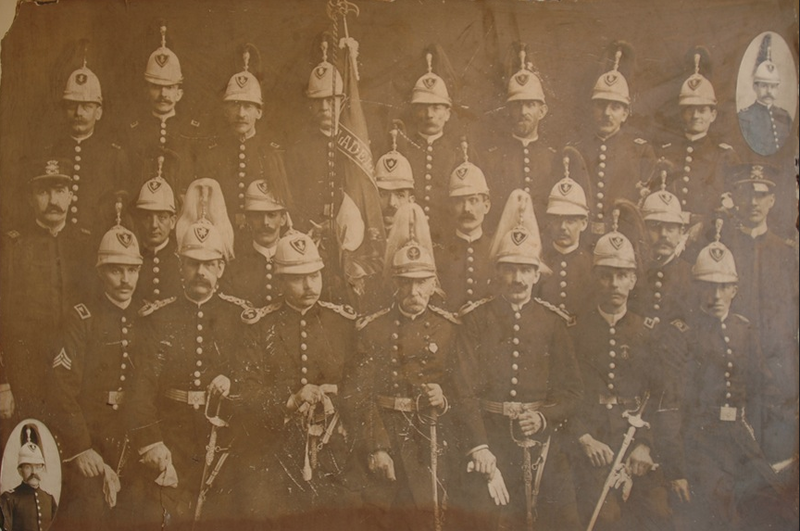 Officers included the Chancellor, Vice Chancellor, Prelate, Secretary, Treasurer, Master at Arms, Inner Guard, Outer Guard and the Past Supreme Chancellor. The organization also had a women's auxiliary – the Pythian Sisters, along with the Pythian Sunshine Girls and the Junior Order of Princes of Syracuse for boys. During the high point of fraternal groups, the Knights of Pythias had close to one million members, but once interest in secret societies died off, numbers dropped. There were fewer than 200,000 members by 1980. Today, there are more than 2,000 lodges in the world with membership over 50,000. The Knights of Pythias of North and South America, Europe, Asia and Africa (KPNSAEAA) was formed in 1869 after an African American lodge was denied membership. By the turn of the century, the KPNSAEAA had close to 40,000 members with lodges in 20 U.S. states and countries around the world. By the 1870s, the organization began offering fraternal insurance benefits to members. In the 1930s, this endowment group broke from the mainstream Pythians and became the American United Insurance Company. 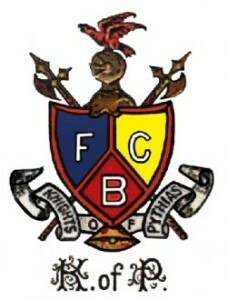 The Improved Order, Knights of Pythias began in 1892 as the result of a ruling that only English could be spoken at meetings. Many members also spoke German so in the 1895, the group fractured yet again but mended itself a few years later. Well-known Knights of Pythias included Presidents William McKinley, Warren G. Harding, and Franklin D. Roosevelt. Vice Presidents included Nelson Rockefeller and Hubert H. Humphrey along with numerous Supreme Court justices, members of Congress and state representatives. 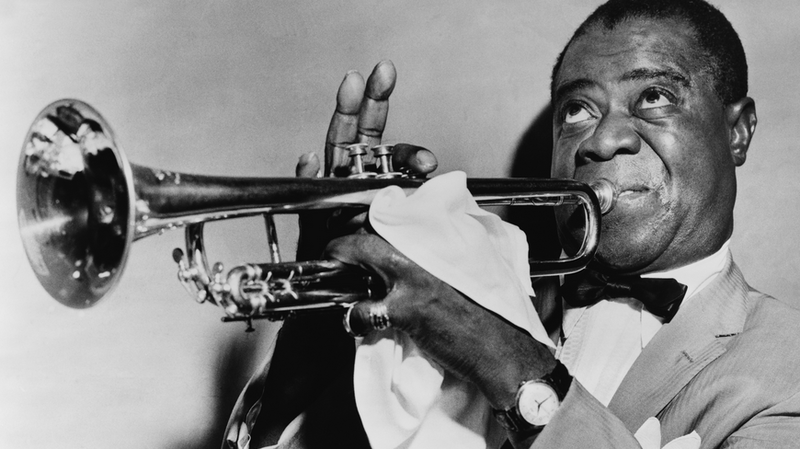 Jazz trumpeter Louis Armstrong was also a member. The Knights of Pythias still exist in more than 20 states in the U.S. along with international groups. The Pythians provide camps for under privileged children, and homes for older members. The American Cancer Society is the national charity of the group. Pythian Lodge structures can still be found throughout the United States. 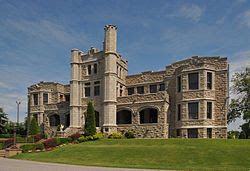 Many of these grandiose castles and lodges have been listed on the U.S. National Register of Historic Places and with the National Park Service. Although a central register of deceased members does not exist, the organization is happy to answer genealogy questions. Contact them at Pythias.org. 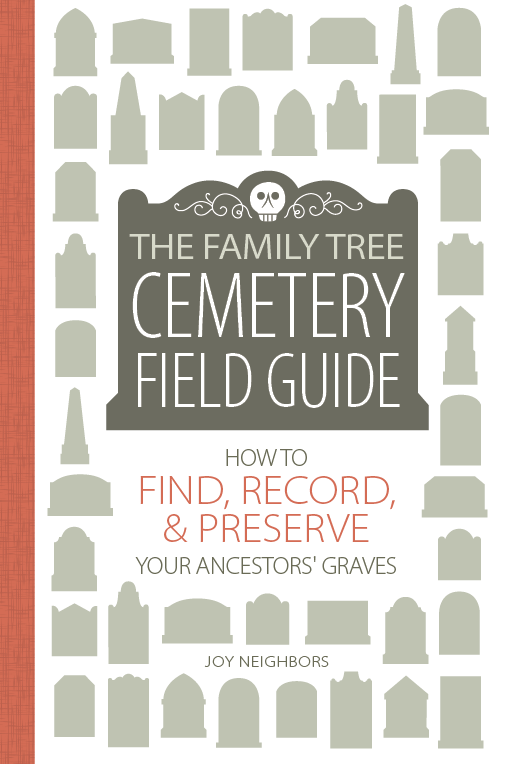 My new book The Family Tree Cemetery Field Guide will be hitting bookshelves across the country this month. Click here for book information. I know where the grave of Joseph A. Hill. Founder of the sisterhood. © 2014 Joy Neighbors - ALL RIGHTS RESERVED. Contact: Joy.Neighbors@gmail.com. Awesome Inc. theme. Powered by Blogger. The contents of this site may NOT be used for commercial purposes without explicit written permission from the author and blog owner, Joy Neighbors. All photos are the property of Joy Neighbors and may not be used for financial gain of ANY kind.